Without the past there can be no present or pathway to the future, and with the knowledge that the telling of history determines who is most enfranchised in the everyday, there is at least one story about the history of art and education in the 20th century deserving a much closer and careful examination. By investigating one of the most enduring spans in the history of modern art—from 1919 to 1933 and directly thereafter 1933 to 1957—representing the respective years of operation for the Bauhaus school, which closed the same year that Black Mountain College opened—renowned artist, writer and historian, Max Eternity, goes beyond familiar tropes and conversations on the subject. Eternity illuminates a multitude of crucial transatlantic arts and humanities relationships in the Western world during those times, whereby sharpening and refining the historical lens. Observed in the study of Germany's Bauhaus and the United States’ Black Mountain College, and by playing close attention to the social impact of these educational (forums) institutions and their respective players, From Bauhaus | To Black Mountain presents an intriguing and voluminous, yet concise, historical record in a manner accessible to layperson, practitioner, and academic. 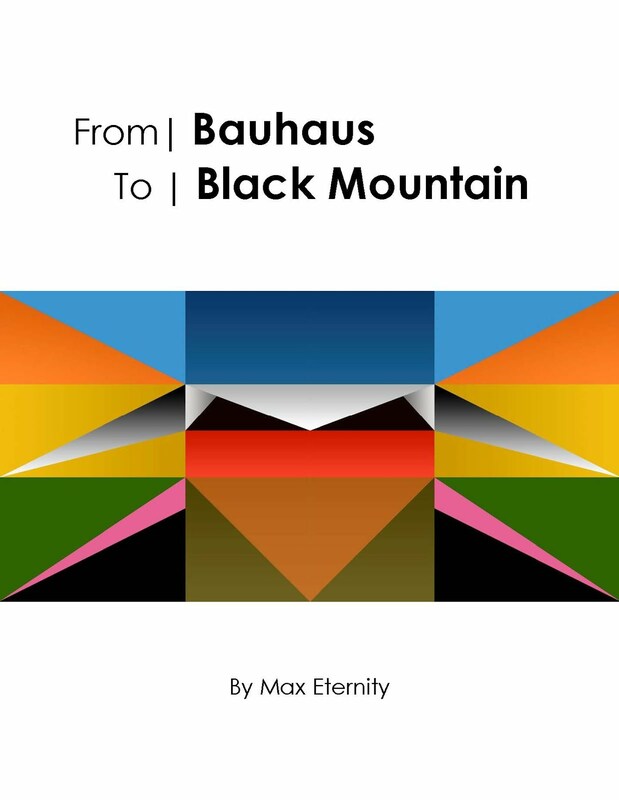 In the malleable present and within the great hallways of collective memory, From Bauhaus | To Black Mountain offers an intellectually exciting and richly detailed understanding of the roots, and other aspects, of early to mid-century modernism’s family tree.